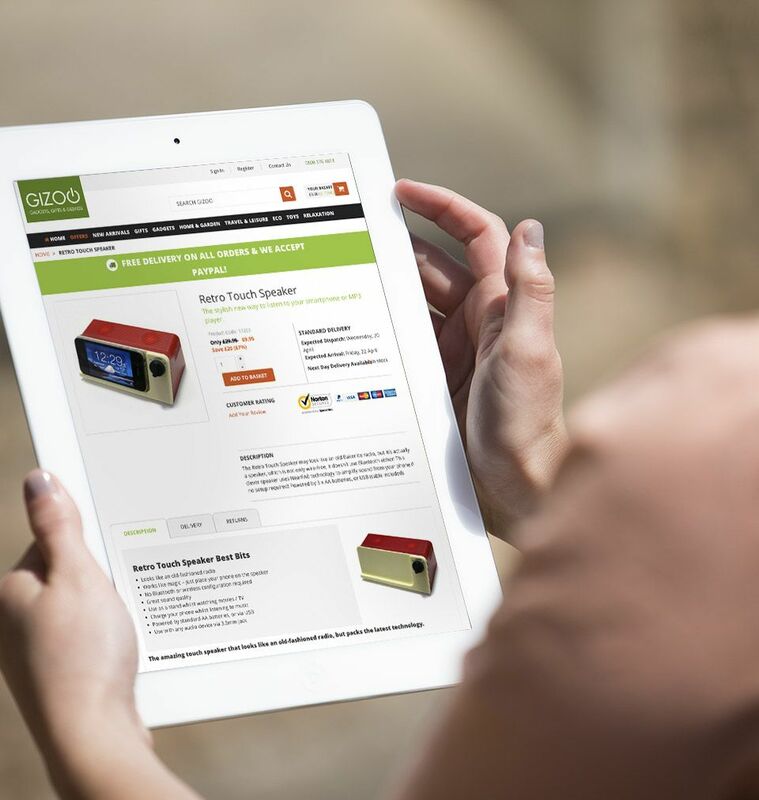 A bespoke Magento build that puts the client in total control, from stock levels to shipping. Gizoo is a well-established online retailer specialising in gifts and gadgets. Their original proprietary website was becoming harder to maintain and so they came to Absolute looking for a new site that would be more stable and easier to manage. A more robust, manageable site would free up time and resources, allowing them to quickly adapt to customer demand and enabling business growth. We focused on refining and simplifying the user journey, creating a completely bespoke frontend. Magento provided the ideal platform for the backend as it allows Gizoo to manage stock across a number of warehouse locations via a dedicated customer module. We also incorporated the Magmi importer to enable bulk updates of large numbers of products, while the CMS also makes it easier to update content on the website and respond quickly to customer behaviour and changes in stock. The Magento build also allows Gizoo to provide flexible shipping options, so customers can place orders for out of stock items, and choose to split their orders across multiple shipments. Because Gizoo also sells through Amazon we created a system to communicate with the online retailer’s own systems. This allows Gizoo the ability to keep track of stock levels and log sales more effectively. The ease of use, greater control, ability to track stock and the improved user journey ultimately puts the business in a stronger position to grow well in to the future. Magento provided the ideal platform for the backend as it allows Gizoo to manage stock across a number of warehouse locations via a dedicated customer module.